A plan is described for Writing Workshops in virtual worlds. An initial implementation is being developed in the Hypergrid worlds. The plan could be adapted for web-worlds. The best way to get a good idea is to have lots of ideas to choose from. Social VR in action through the power of the Hypergrid, Mica runs Wonderland Amusement park , an elegant amusement park. He and his friend, Hope, initiated Coffee and Chat time. Lisa Laxton runs IMA Alpha, Satyr Aeon developed Satyr Farm. VWMOOC18 will be taking place from August 1-31, 2018. 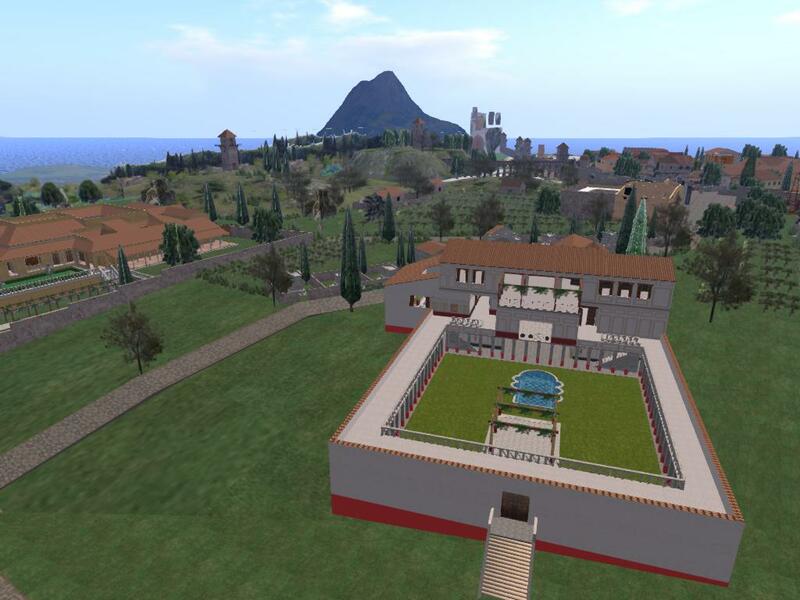 VWMOOC18 is for educators, schools, and public and private businesses that wish to provide training in virtual worlds. Weekly badges and a final certificate of completion will be available for free. This year the Virtual Worlds MOOC 2018 is recruiting speakers and presenters to showcase their own work as educators in virtual worlds (OpenSim worlds are more than welcome -- we're hoping to become even more metaversy than previous years ...), the accomplishments of their students, research, theory of practice, and anything that might impact on the betterment of educational usages of Virtual Worlds in all levels and types of education. 2018 EDU: PEOPLE: Disabled? Not in virtual worlds. Lonely? Not in virtual wolds. Your avatar has superpowers! Disabled? Not in virtual worlds. Lonely? Not in virtual wolds. “Our Digital Selves: My Avatar is me!” tells the story of 13 global citizens and their avatars as they transcend their various disabilities through artistic expression and making a home for themselves in the VR Metaverse. The film follows researchers Tom Boellstorff and Donna Davis as they facilitate deep connections between real human beings in virtuality by giving away digital land to build anything the participants of this project can dream up. Video of a visit to 3DWebWorldz, a 3D place you can visit in your browser. 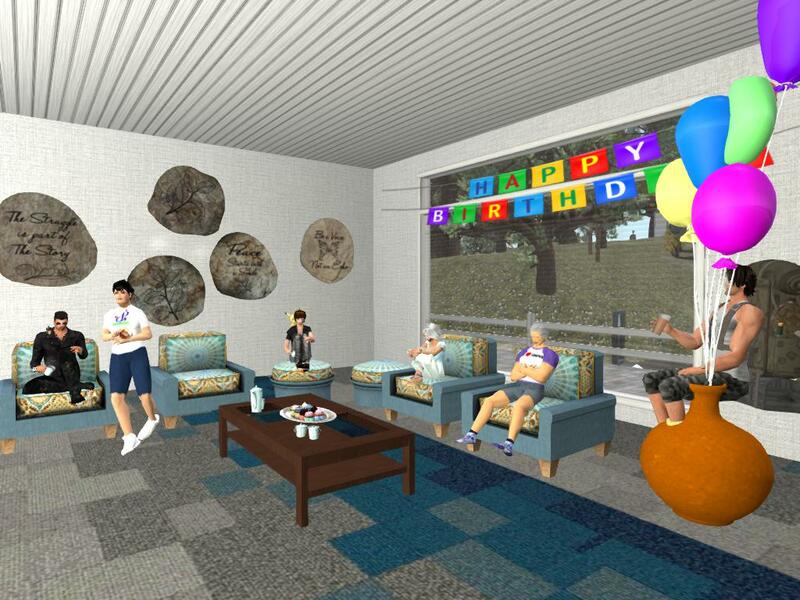 At Birthday Island you can have a party with people around the world (if some are willing to stay up late). And you can talk to the people. That is what we mean by social 3D. No shooting, No monsters. Just friendly conversation. 3DWebWorldz is a virtual world that runs in a browser. It can offer a place for people to display their art for others to see. Since it is available on any modern browser, families and friends can get together and visit at the same time. Displaying art in 3DWebWorldz is currently free. New web service is suggested to support teachers in accessing the extensive and growing educational resources of the web. It would be somewhat like library service, a multimedia service, and a student coach in one (portable) computer. Outworldz presents a beautifully choreographed scene from Shakespeare play, performed by bots (in OpenSim we call them Non-Player Characters--NPCs). The lines are delivered in text. A group studying the play could assign group members to deliver the lines aloud. Then use the World Map to find Egypt.